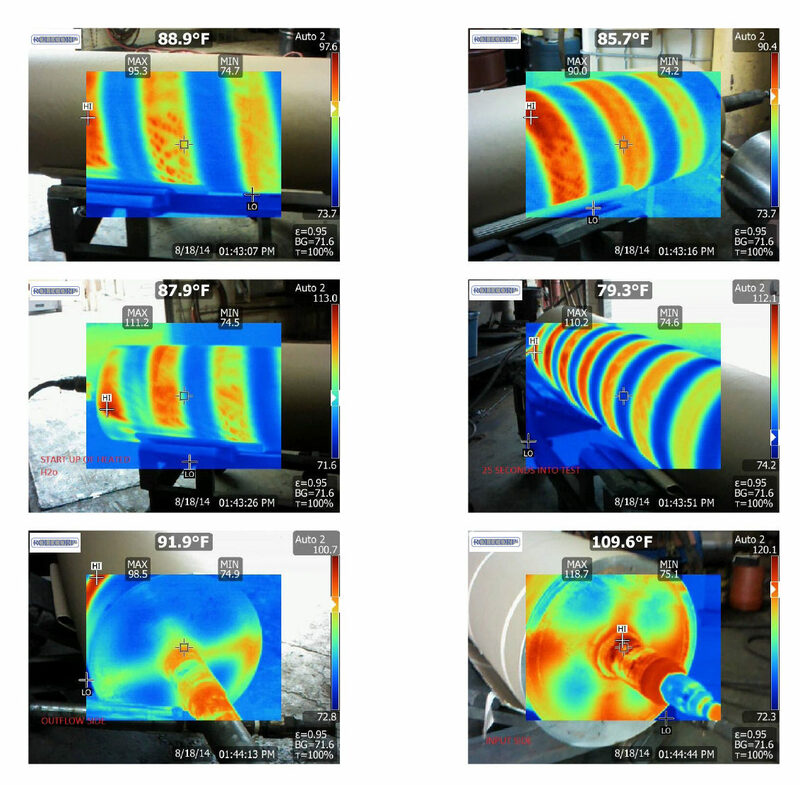 Run water through the roll and take a thermal image picture of the flow “before”. Then flow acid into the internals and let that sit 18 – 24 hrs. Sometime longer depending on results. While the acid is in the roll we strap a vibratory unit to the face and it vibrates the acid and help break lose scale etc. Then we neutralize and flush clean and take another thermal image “after”. WE WILL VIBRATORY ACID CLEAN INTERNAL FLOW PASSAGEWAYS THEN NEUTRALIZE AND FLUSH CLEAN. THERMAL IMAGES TO BE PROVIDED BEFORE AND AFTER CLEANING.